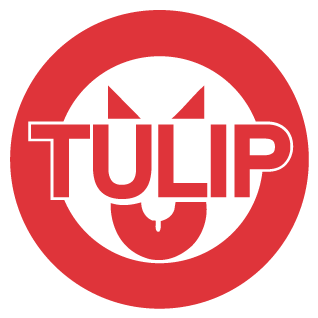 Tulip fabric rubber Vee Rings (chevron packings) are an extremely durable seal. 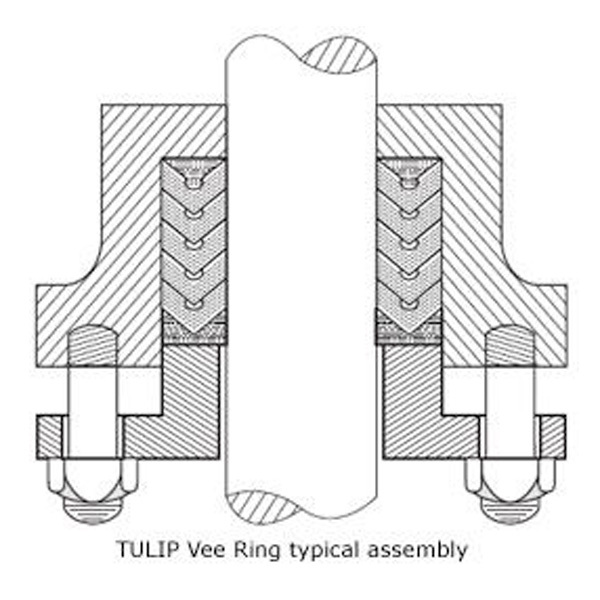 A Vee Ring set is comprised of a series of Vee shaped rings, usually between 3 and 5 per set, supported by a top and bottom adaptor. 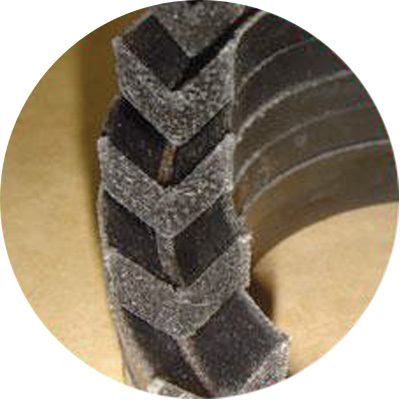 A Vee Ring set provides a seal in one direction. Back to back sets can be installed to create a double acting seal. The multiple sealing lip construction of a Vee Ring seal creates a gradual breakdown in pressure, reducing the workload of each seal.  This creates a long service life and reduces the chance of catastrophic failure of the seal. Prior warning is thus given of possible failure of the set allowing equipment service to be scheduled for off-peak periods. This is especially important when maintenance efficiencies can be improved through planning of machine downtime. Depending upon the gland arrangement, Vee Rings can be adjusted to take up wear, thus further increasing seal life.  The adjustment would take the form of a gland nut that allows for periodic tightening. 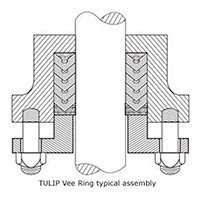 Tulip manufactures an extensive range of metric and imperial Vee Rings from 4mm through to 2000m in diameter. Seal heights can vary considerably, therefore it is important to know stack heights when ordering. Most glands have sufficient adjustment to allow for a degree of variation. The below table is a guide for the required number of Vee rings per set for given pressures. Speed: 3m/s depending on length and frequency of stroke.